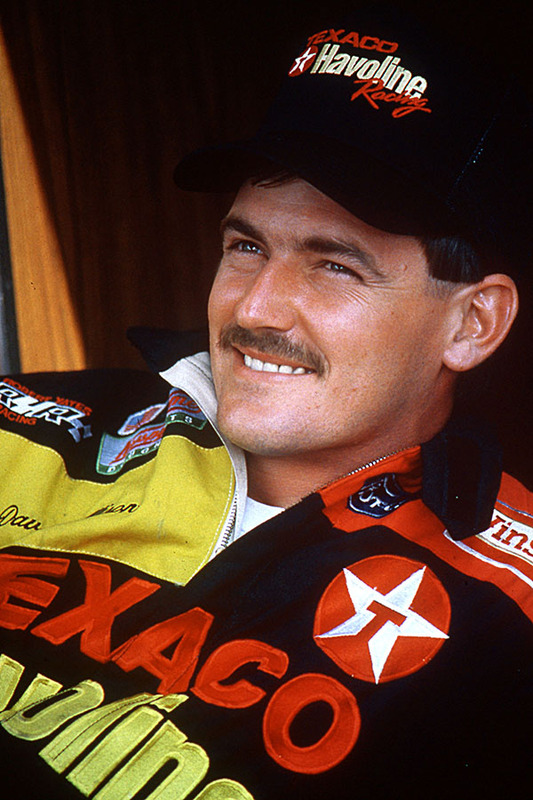 Davey Allison Davey Allison was born with speed. The son of NASCAR Hall of Famer Bobby Allison grew up more interested in football, but could not escape the racing bug, following his father into the family profession. The younger Allison honed his skills at local Alabama tracks, getting his big break in 1987, taking over for legendary driver Cale Yarborough in Ranier-Lundy’s Ford Thunderbird. Allison spent no time continuing the family’s legacy, compiling two wins, five poles and nine top fives in his full-season debut to capture 1987 premier series rookie of the year. Allison won 19 races and 14 poles, including the 1992 Daytona 500, before his tragic death in a helicopter accident in 1993.